Seamless Piecing: Do UFOs Control Your Sewing Room? 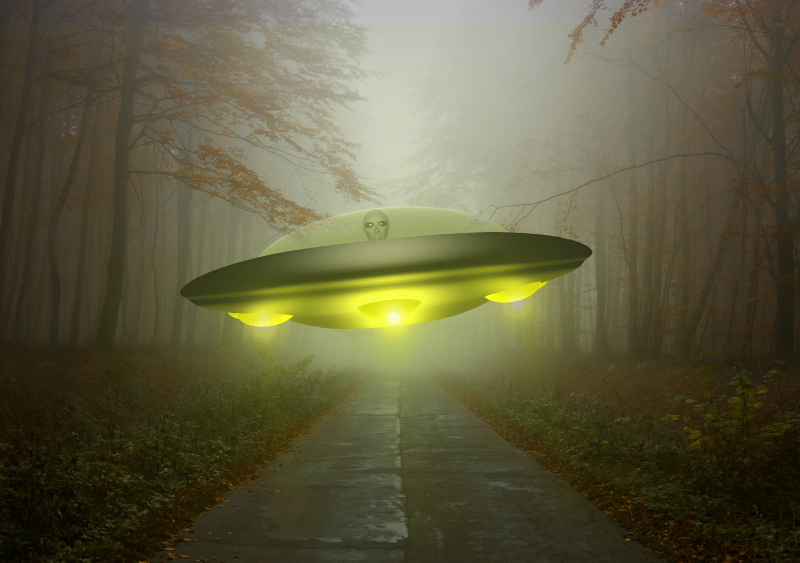 Do UFOs Control Your Sewing Room? My in-laws seem like normal people. They have a normal family ... if you can call having 6 daughters normal. They do normal family activities like camping and family dinners. For the most part, the children had a normal childhood. I've never gotten the complete story. It seems they don't like to talk about it much. They were driving down Payson Canyon road, coming home from an extended camping trip. When suddenly a ball of bright light appeared in the road in front of them. It wasn't IN the road per se, but hovering above the road. The object appeared to be matching the speed and movement of the car. Suddenly it sped toward them, passed through the front and back windshields of the car and zipped out of sight. Was it a UFO? or just a trick of light? 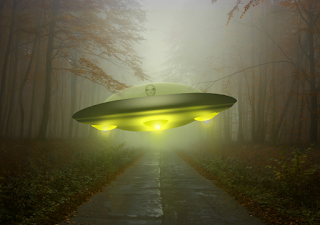 Not all UFO's are extraterrestrial. In point of fact, I have a number of them residing in my sewing room. I have a whole herd of WIPs, Pigs, Pibs, Kits and Thubs in my home. Better get out your tin-foil hat, just to be safe. WIPs = Works in Progress. WIPs, generally, are projects being actively worked on. They can be hand projects that travel with you, or they can be the project on your work table. The WIP is what you tell people when they ask, "What are you working on right now?" It's ok to have more than one WIP at a time. But be aware, WIPs are very fragile creatures. Without proper attention, they become UFOs right before your eyes. UFOs = UnFinished Objects. These are crafty projects that have been started, then set aside for days, weeks or, in some extreme cases, years. UFOs are often created unintentionally when a new WIP comes around. 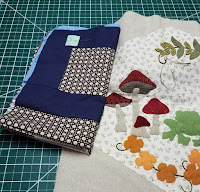 Kits = Kits, whether purchased as a kit or kitted at home, are project bundles with all the materials, fabric and pattern, needed to create a finished project. While kits may be bundled into a box, they are not Pibs. Many of my Kits are stored in clear plastic boxes, but unlike Pibs, they can be completed without any additions. Pigs and Pibs = Projects in Grocery Sacks and Projects in Boxes are closely related. They usually remain exactly as they were when they came into the home, they almost always have a sales receipt entombed with them. Although Pigs and Pibs can be kits, they differ from Kits in that they usually need something added, such as background fabric or a pattern. Thubs = Things Hidden Under Beds are generally impulse purchases which, while irresistible at the moment, generally don't have any plan for their future. As a rule, they are hidden because the purchaser over-spent or has another reason for keeping the purchase under wraps. ("It was on sale.") One tell-tale sign of a Thub is the protector will speak of it in hushed tones, not out of respect for the Thub, but for fear of it being discovered as the regretful purchase it is. More than half the projects have flown the protection of the sewing room and gone on to live (hopefully) productive lives. The UFO on the spreadsheet is a Farmer's Wife quilt. It was overwhelming for a beginner. But I have no regrets and now, 6 years later, it's found it's way back to my list of quilts to finish in 2019. I have enough experience now to finish it without my head exploding. I recommend starting with a spreadsheet. It can be as simple as a piece of lined paper with columns. I know it seems like extra work, but if nothing else, it will give you something to track your WIPs so they are less likely to become UFOs or worse. The spreadsheet from 2013 has 11 columns for everything from the date I started the project to the name of the fabric line. Other details you want to track. Keep a physical copy of this sheet where you can see it every time you are in the sewing room. Track projects by hand so you don't have to open your computer to have accountability. About once a month update the digital version and reprint for a clean start. I suggest you only put projects on this spreadsheet that you've actually begun, not Kits, Pigs, or Pibs. Make a different list of those and where they are stored. I made a comprehensive list in 2016. It had well over 50 projects listed in varying stages of completion. Including those not started. It was overwhelming. Don't put all those on your working document. Only include projects you actually intend to work on this year, or whatever time allotment you choose. I keep a separate digital spreadsheet only for Kits: Projects that can be finished with no additional purchases. When I'm ready to start a new project, I shop from the spreadsheet. When fabric, especially background fabric, is on sale, I flesh out my Pigs and Pibs so they can be upgraded to Kits. I recommend a separate sheet for these items as well. The secret to the system is the spreadsheet, identifying priorities, having a plan and knowing what I need (and what I don't need) to execute the plan. Stay under budget by buying on sale. The spreadsheet also brings order to the "2 for 1" rule. When you finish 2 WiPs, you can upgrade 1 UFO to the WiPs list. You'll know which one to upgrade because it will be at the top of the UFO list. When you've upgraded 2 UFOs you can begin a new project if you want. Choose from among your kits. If you ever feel like you want to skip the project at the top of the list, it may be time to re-evaluate it. Do you want to skip it because another project has become a priority? or are you skipping it because it no longer love it? It's ok to "KonMari" projects you no longer love. If you are not familiar with Marie Kondo, or the KonMari method, watch a couple of episodes of Tidying Up with Marie Kondo on Netflix. Or try YouTube. Don't get lost though! I watched a whole season of Tidying Up and it didn't change a thing in the state of my house. You gotta come back and... you know... actually DO the work! Marie Kondo begins by having you put EVERY item of clothing in your house into one big pile. Then she has you keep items that "Spark Joy" and donate those that do not. But, so as not to be ungrateful, don't forget to thank each item to be donated for the service it has done you. 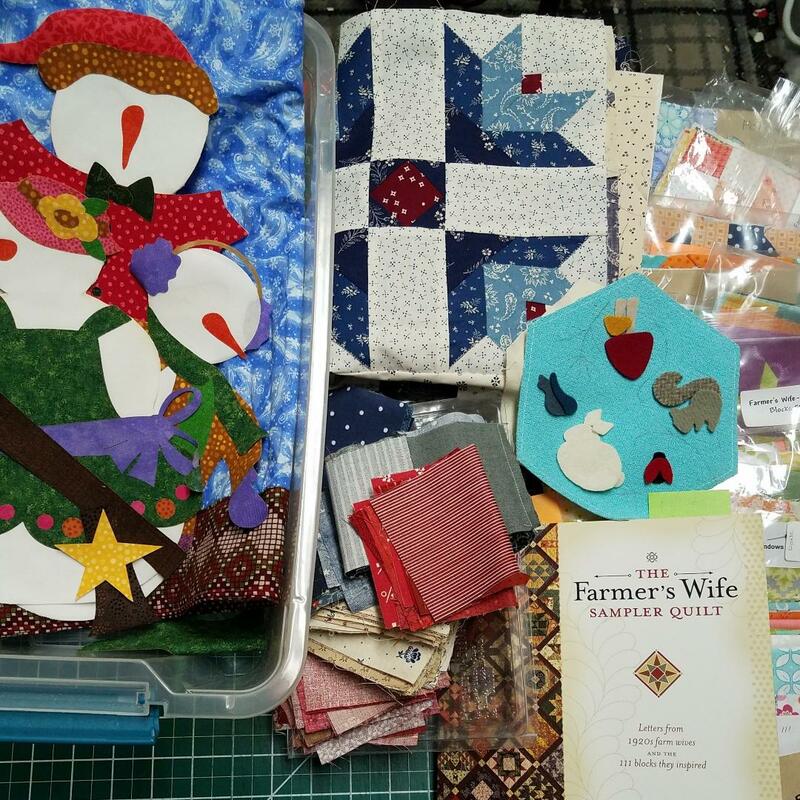 The Quilter's equivalent would be to start by putting every thread of fabric onto your sewing table. We are not doing fabric like that today. I don't have the time or stamina for that. Remember I'm doing this right along with you. Step 3) Make a space to work. Designate a space where you can spread out your projects and get a good look at everything. This can be your cutting table, a sofa or your dining room table. NOT THE FLOOR! It doesn't matter as long as it's EMPTY of anything else and large enough to hold your projects. Step 4) Put your WIP's where they are most convenient for daily use. Allot yourself at least a couple of hours to finish this step. Bring ALL the projects you are ACTIVELY working on (WIPs) to the empty work space. If you can't find all the parts to the project, or you haven't made progress in the past week or so, it's not a WIP, and should be classified a UFO. I only have WiPs 2 right now. Everything else has become a UFO while I work on the Mystery quilt. So I'm treating my highest priority UFOs as WiPs, which they will be by next week. 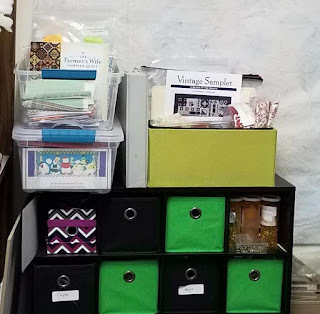 Create a space, close to where you sew, for these project to reside when not in use. The size of the space will be determined by the size of your projects. It can be a table, shelf, box, whatever works in your sewing area. It may require re-homing the stuff that is currently occupying that space. All components of all WIPs should be easily accessible close to your working area. Label the area "WIPs ONLY!". New View from my work space. Within the designated area, designate a spot for each project and label it. 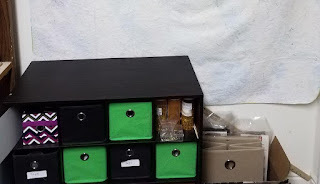 Use dividers or containers so everything stays together with it's respective project. Retrieve your WIPs and introduce them to their new space. No more Out of Sight, Out of Mind for these guys! They are the first thing I see when I enter the room and smack in front of my face while I'm here. Having everything you need to complete the project(s) you are working on right at your fingertips should help projects move along to completion more efficiently. You'll have those WIPs whipped in no time. UFO's don't need to be in a convenient spot like WIPs do. They can be stored wherever is convenient. Do keep good records of where you put the UFOs. This is a good time to evaluate each project. Do you still love the project? Does it "spark joy" for you? Do you have all you need to complete the project? If it does spark joy, and you do intend to finish it, box or bundle it, label it and record on the spreadsheet where you put it. If you need something more to complete the project, write those items on your spreadsheet AND on the container the project is in. When you have everything you need, you can upgrade the project to a WIP at the appropriate time. If the UFO no longer sparks joy, thank it for what it taught you and donate it. Take it to good will or your guild and let someone else love it. When you finish a WIP, you can upgrade a UFO and move it into the empty space. Don't forget to update the spreadsheet. You can use the method outlined in Step 4 for dealing with the rest of the crew. HOWEVER, that's beyond the scope of what I'm trying to accomplish today. As I mentioned before, I have over 50 of these in my sewing room. Most of them are either in labeled plastic boxes, or they remain in the boxes they were delivered in. I'll make a list of what I can remember as I scan my room, but I'm not moving them anywhere. That's a larger project for another day. What I will do, however, is evaluate each project as I write it on the list. Does the intended project still spark joy? What does it need to become a kit? 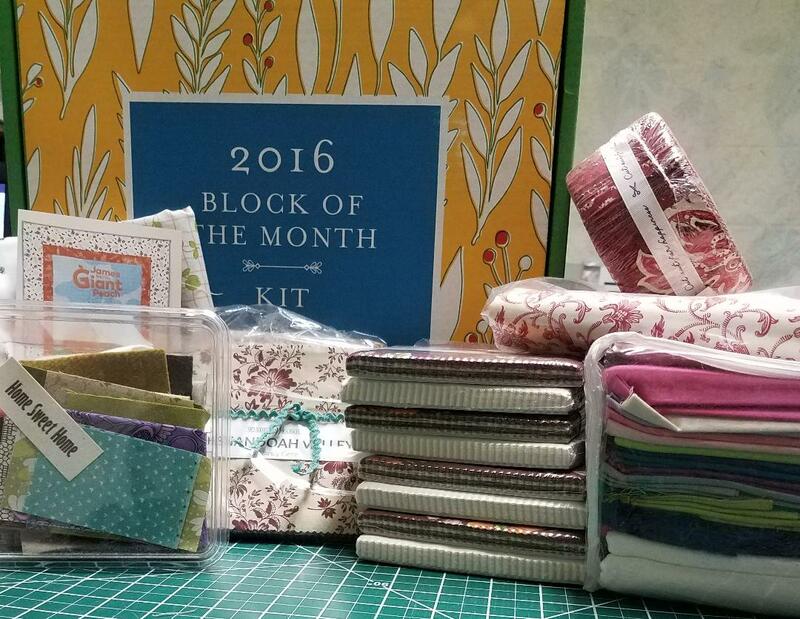 If it doesn't spark joy, break the kit or project down and put the fabrics in your stash. I did this recently with a dozen or so small kits I had for projects I knew I'd never make. And I added a few beautiful fabrics to my stash. WIN! Step 6) Letting go is a wonderful feeling. Enjoy it! I love the quote: Don't hang onto a mistake no matter how long it took to make it. 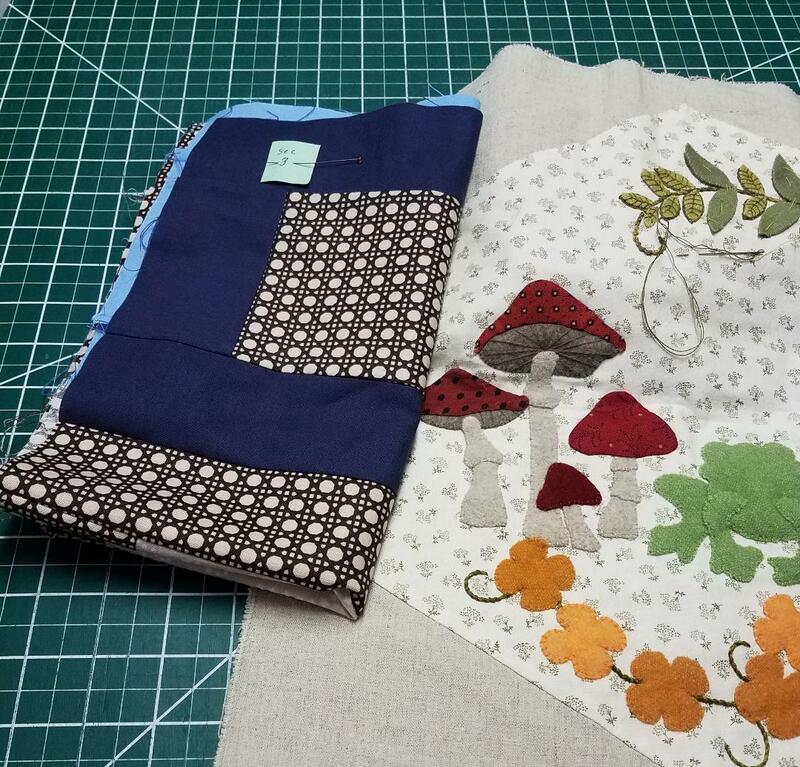 I know we quilters like to surround ourselves with beautiful fabric and fun, challenging projects that will keep us busy into the next century. My goal in organizing my WIPs, UFO's and Kits is to be more efficient in planning what I can look forward to working on next so I can finish more projects. And also, when I know what I have and what I want to do with it, I can more easily evaluate what I have that I'll never use. That knowledge will empower me to let go of what is taking space that can be better filled with things that Spark Joy. It nice to know that any project I choose from my collection is one that I will love. Good luck with this project. It will be worth the effort. I have a big open space where my UFO's used to be. Do you have WIPs that have become UFOs? How have you dealt with that? What do you do to keep the spark alive on long term projects? Share "Before" and "After" photos of your workspace on Facebook. You can follow the blog by clicking the Followers button in the right side bar. Or follow on Facebook or Pinterest. See you next week when we're back to the Part and Parcel Mystery. PS. Wanna see where I hang out when I'm not at Seamless Piecing? 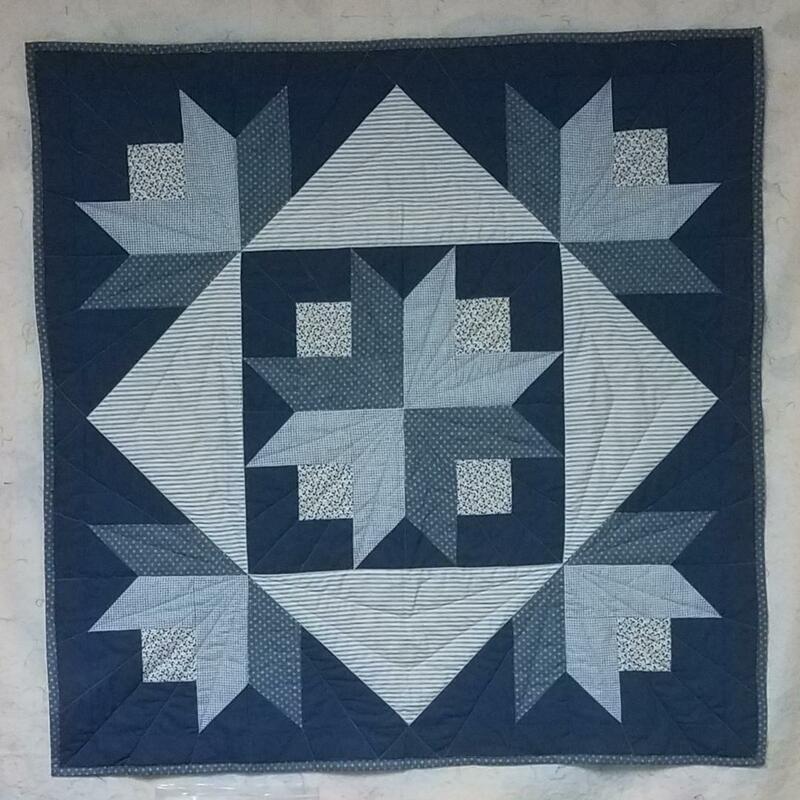 The Quilt Pattern Magazine is an online, monthly magazine where I publish some of my designs. AND... it's not just a magazine. It's also a delightful, private, online community of some of the best quilters in the business, and others, like me, who just want to rub shoulders with them. It's a safe place to ask questions and get mentoring from those who know and care. AND... If you go there from here you can use a secret coupon code for a discount. If you join before the end of April you can still download the March issue of TQPM. 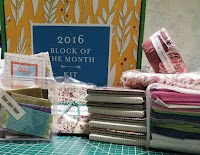 My small quilt, Bursting, is in the March issue.